Courtesy of MILESTONE REALTY GROUP, ADRIAN JIMENEZ. This single-story home, featuring 3 bedrooms, 2 bathrooms and a 2-car garage is waiting for a new family! Upon entering you are welcomed by the tiled living room and stone fireplace. The kitchen boasts ample space with a large dining area & patio access. The backyard is perfect for entertaining friends & family with a large lattice patio. On the weekends, enjoy the community park behind the home. The neighborhood schools have been awarded the BEST district Schools – Rosemary Kennedy Elementary & Norte Vista HS have a highly accredited IB Program. 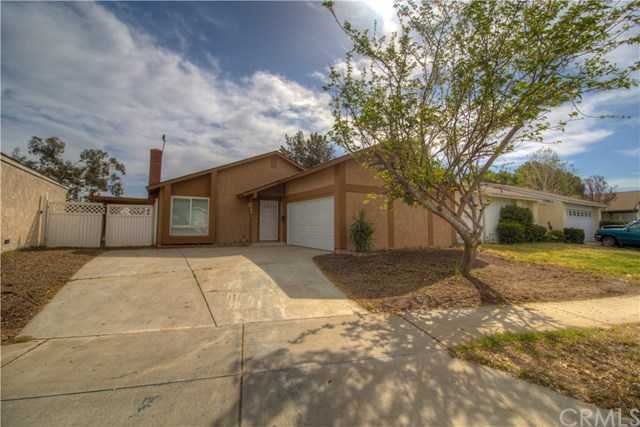 Please, send me more information on this property: MLS# IV19084649 – $364,990 – 6880 Astoria Drive, Riverside, CA 92503. I would like to schedule a private showing for this property: MLS# IV19084649 – $364,990 – 6880 Astoria Drive, Riverside, CA 92503.